I am interested in exploring art as research, especially as a form of cultural analysis. My work began with concerns of immigrant experiences and questions of why we assign certain values and meanings in our culture. Language has always been at the center of individual, familial, economic, and social struggles. My recent work investigates the fabric of language and communication through various media such as video, installation, interactive art, and performance art. Using technology, I deconstruct and reconstruct sound by studying sound topologically, visually, and semantically. I use technology both as a mediator, merging multiple fields of study such as linguistics, cultural studies, and neuroscience, and as a translator, converting/transferring one medium to another. Mother studies sound symbolism and explores synesthetic connections between language and shapes. 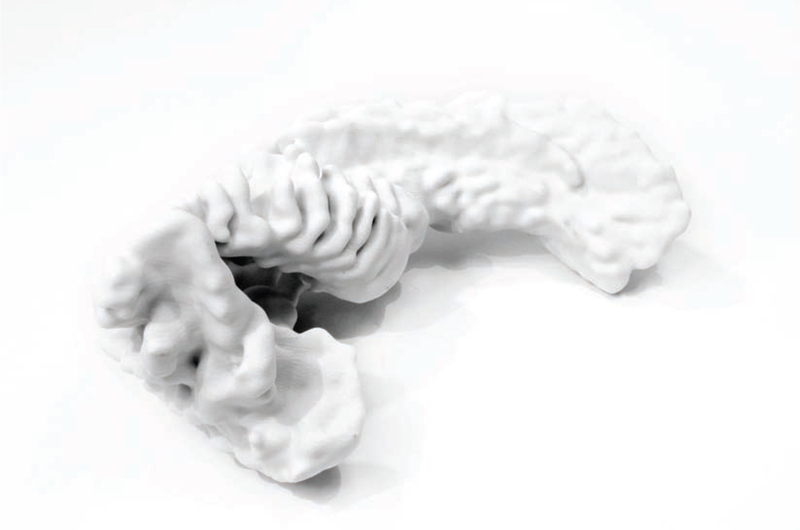 It translates audible and intelligent communication into a visual and tangible form through the use of computation and 3D printing. Verbal descriptions of a set of unknown sounds, as well as the hand gestures used by participants to describe the sounds, are captured using XBox Kinect, extruded over time with a custom-built software made with openFrameworks, and finally printed into sculptures. In contrast to the unrecorded spoken language, which is ephemeral, language that is printed three-dimensionally becomes embodied in a physical form. In this work, the human translator is replaced by a computer. The concept of translation is thus stretched, expanded, and re-contextualized, providing a flexible way to see and experience language through a work of art. Mother is a series of generative sculptures that explore synesthetic connections between language and form by analyzing hand gestures that represent the participants’ interpretations of unfamiliar spoken words. 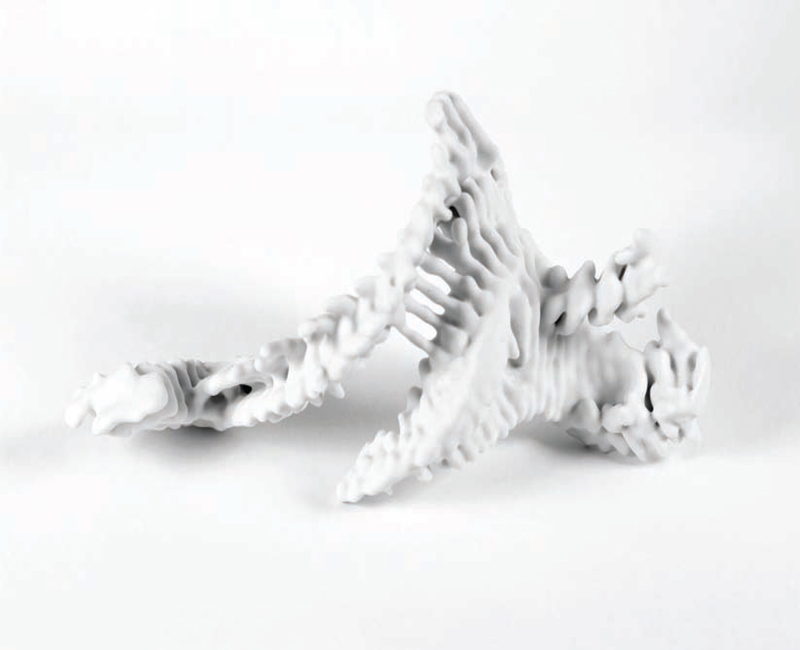 The gestures of the participants were captured in 3D using a Kinect, interpreted with openFrameworks, and printed with a rapid prototyping machine.